The summer 2017 transfer window has closed. 02:45 That's your lot for another busy Transfer Deadline Day. Keep an eye on premierleague.com tomorrow for confirmation of any further deals. Thanks for reading. 02:05 And we have another. Mamadou Sakho re-joins Crystal Palace, this time on a permanent deal, after agreeing a four-year contract. The 27-year-old joins for an undisclosed fee from Liverpool. "I am really excited about playing for the Palace fans again but in football the past is the past and you need to think about today and tomorrow," he told cpfc.co.uk. 01:50 And Drinkwater's first match as a Chelsea player could be against... you've guessed it, Leicester City. The two teams meet at the King Power Stadium on 9 September. 01:36 The deals are not done yet. 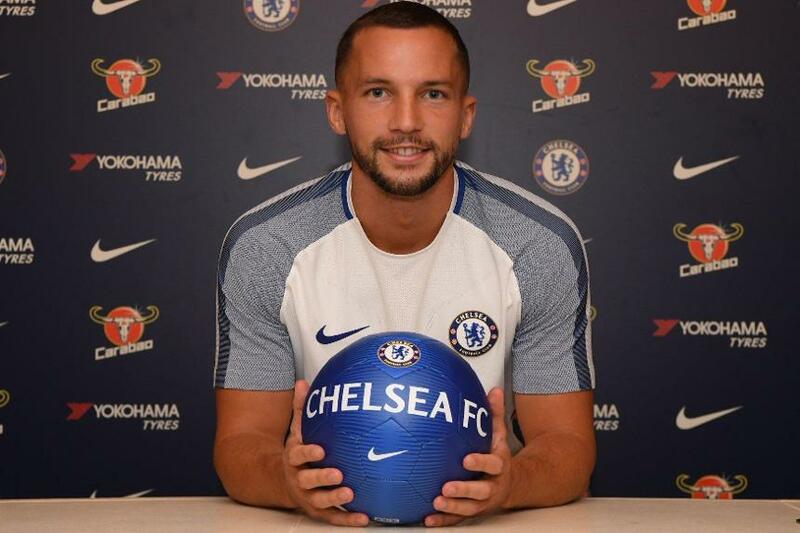 Chelsea have completed the signing of midfielder Danny Drinkwater from Leicester City for a fee that is a club-record for the Foxes. The 27-year-old has signed a five-year contract to become Chelsea's sixth senior signing of the summer. "He is a typically combative English midfielder with a cultured passing technique and his arrival significantly strengthens our midfield options," Chelsea technical director Michael Emenalo told chelseafc.com. 00:44 There's a familiar face back at the Liberty Stadium as striker Wilfried Bony returns to Swansea City. What will the move mean for FPL? "An FPL prospect in his first spell at the club with 25 goals and seven assists, Bony could be revived back in Wales. His price will be a key factor, particularly if Tammy Abraham (£5.5m) retains his start." "Zappacosta is renowned for his attacking ability and, in particular, his accurate crossing. Victor Moses will be the player under threat at right wing-back with Zappacosta’s FPL appeal relying on his price and starts." "Llorente scored 15 times and was involved in 51% of Swansea City’s goals in 2016/17. But at Spurs, the Spaniard is set to be a back-up for Harry Kane and is unlikely to be an option for FPL managers." 23:20 Chelsea have announced the signing of Davide Zappacosta from Torino. "It is a dream for me to join Chelsea and play in the Premier League," the 25-year-old full-back told chelseafc.com. 23:15 And as Llorente leaves Swansea, he is replaced by Manchester City's Wilfried Bony, who, like Llorente feels he has a lot to learn on his return to south Wales. "I am still at school," Bony told swanseacity.net. "I always want to improve, and I have a lot to show." 23:15 A further deal has been announced, with Fernando Llorente leaving Swansea for Spurs. "I am 32 but I think I can learn a lot," Llorente tells tottenhamhotspur.com. 23:00 The Premier League window has shut but a number of deal sheets have been submitted so further transfers could be announced. 22:50 A couple of late loan deals have been announced. Brighton have signed Newcastle United goalkeeper Tim Krul on a season-long loan. The 29-year-old Dutchman will be reunited with Brighton manager Chris Hughton. “I know Tim from my time at Newcastle and he is an excellent professional that has a vast amount of experience at both club and international level,” Hughton told brightonandhovealbion.com. Leicester City have announced the arrival for the season of Aleksandar Dragovic, from Bayer Leverkusen. The Austria defender will meet his new team-mates after the international break. 21:37 Arsenal announce another exit, with Joel Campbell returning to Real Betis on loan for the season. 21:30 With less than 90 minutes until the window shuts, clubs can submit deal sheets to the Premier League to ensure they can complete transfers after the deadline. See: What are deal sheets? 21:00 After Brighton strengthened their defence with Ezequiel Schelotto, The Scout assesses the Argentinian's FPL impact. "With five assists for Sporting last season, Schelotto looks set to challenge Bruno (£4.5m) at right-back. But Lewis Dunk (£4.5m) boasts the most goal threat in defence and five of Brighton’s next six home matches score two in the FDR"
20:15 After facing them in the UEFA Europea League for Hajduk Split, Nikola Vlasic, a 19-year-old forward, has signed Everton on a five-year deal. He is their ninth summer signing. 19:44 Leicester City have announced that midfielder Nampalys Mendy has rejoined Nice on a season-long loan. 19:35 A flurry of activity now as the deadline starts to appear on the horizon. On the south coast, Brighton & Hove Albion sign Argentinian defender Ezequiel Schelotto from Sporting Lisbon, while Udinese defender Molla Wague moves to Watford on a season-long loan. 19:06 There's another departure from Emirates Stadium as striker Lucas Perez rejoins Deportivo La Coruna on a season-long loan. 18:35 Following a spell with Sunderland last campaign, Manchester City defender Jason Denayer is heading out on loan again, having signed for Turkish side Galatasaray for 2017/18. 18:12 Watford have continued their busy summer with the capture of defender Marvin Zeegelaar from Sporting Lisbon on a four-year deal. He is the 10th signing made by new head coach Marco Silva. 17:44 And there's a move at AFC Bournemouth. Midfielder Matt Worthington, who made his Premier League debut for the Cherries against Leicester City in May, has signed for Yeovil Town on loan until 1 January. 17:00 A couple more moves for two 18-year-olds. Kyle Jameson, a defender, has left Chelsea for West Brom, while Toni Gomes, a Liverpool forward, is going to Forest Green Rovers on loan. At Crystal Palace Hiram Boateng has joined Exeter City in a permanent deal. 16:33 Manchester City announce that PL2 regular Jadon Sancho has moved to Borussia Dortmund, while Liverpool reveal that Allan has moved to Apollon Limassol, in Cyprus, on a season-long loan. 15:05 Another Arsenal exit today is Donyell Malen, the 18-year-old Dutchman who had played for the PL2 side returning to Holland to join PSV Eindhoven. 15:00Liverpool have said that Divock Origi has been loaned for the season to Wolfsburg. 14:47 Burnley have announced the signing of striker Nakhi Wells, on a three-year deal from Huddersfield Town. 14:28 The Scout says Renato Sanches's arrival could be great news for Fantasy Premier League managers and a couple of his new team-mates at Swansea City. "A big signing for the Swans, but an uncertain prospect in FPL. Sanches is a developing talent and not yet renowned as a scorer or creator of goals. His arrival will boost confidence and that could benefit Abraham and Carroll as options." 14:26 More Deadline Day news for Stoke City, who send Giannelli Imbula on loan to French club Toulouse for the rest of 2017/18. 14:19 And Arsenal midfielder Kelechi Nwakali, 19, moves to Dutch side VVV-Venlo for the season. 14:03 West Bromwich Albion teenager Kyle Edwards will join Premier League 2 team-mate Kane Wilson on loan at Exeter City until January. 13:59 Swansea City have signed Bayern Munich midfielder Renato Sanches on a season-long loan. The 20-year-old Portugal midfielder worked with Paul Clement when he was assistant head coach at the Allianz Arena last season, going on to win the Bundesliga title. 13:31 Watford have made their first Deadline Day addition, loaning goalkeeper Orestis Karnezis from Italian side Udinese for the season. 12:38 The Scout on the FPL prospects of Tottenham Hotspur's latest addition, Serge Aurier. "His arrival threatens Kieran Trippier’s (£5.4m) starts and the Ivorian is likely to be more expensive. Ben Davies (£5.6m) remains the top target in the Spurs defence, at least until Danny Rose is fit or Aurier shines." 12:31 Deadline Day is gathering pace! Spurs confirm the signing of defender Serge Aurier from Paris Saint-Germain, their fourth addition of the summer. "An intriguing move for FPL managers. If he can cement a start in midfield, he could offer real value at £6.0m. But Salah, Mane and Firmino remain more likely targets, so it looks wise to reserve our three Liverpool slots for the big hitters for now." 12:00 Liverpool have completed the signing of England midfielder Alex Oxlade-Chamberlain from Arsenal, on a long-term deal. 11:30 Remember that while the window closes at 23:00 BST in the UK, in Germany it shuts earlier, while in Spain it goes on for another 24 hours. The EPFL provides an overview to the transfer deadlines across the Continent. 10:59Kane Wilson, Matty Willock and Jordan Houghton have been loaned out in the early Deadline Day deals so far. See: All the confirmed deals by PL clubs. 10:02 Stoke City captain Ryan Shawcross has signed a new four-year contract. The centre-back, in his tenth top-flight season for the Potters, has made 293 Premier League appearances. 10:00Jordan Houghton, an Academy midfielder at Chelsea, will spend the rest of the season on loan at League One side Doncaster Rovers. 09:31 Manchester United have loaned 21-year-old Matty Willock, twice on the bench in the Premier League last term, out to Dutch side Utrecht for the season. The transfer window has existed for 15 years, having been introduced for the 2002/03 season. See: Origins of the transfer window. 09:03Kane Wilson, 17, has been loaned by West Bromwich Albion to Exeter City until 3 January 2018. The Baggies were busy yesterday, recruiting Paris Saint Germain's Grzegorz Krychowiak on a season-long loan after Kieran Gibbs' transfer from Arsenal. 08:07 It's Deadline Day! The summer transfer window shuts at 23:00 BST today, Thursday 31 August. See: Full list of confirmed deals involving Premier League clubs.